Find me the 2012 Olympic medallist who owes their sporting success to wet afternoons on an English school playing field and I’ll get worked up about selling off school playing fields. The fact is, like so many stories from inside the Westminster village, the row over school sports fields is a red herring; great for political point scoring, nothing to do with kids and sport. And even less to do with future Olympic triumph. Most of our Olympians came up through local clubs not schools. In track-side interviews, still breathless from their efforts, almost all pointed to the National Lottery and other public funds as key to their success. Even hurdler Lawrence Clarke, heir to a baronetcy no less, only got serious about sport at university. School (Eton) he said, was of little help. The public money directed towards individuals like him, was. Double gold winning distance runner Mo Farah may have been spotted and encouraged by a school PE teacher but he ran on a public track. It is now apparently derelict. And that is what we should be discussing: the need for investment in community sports facilities. School fields are often many miles and long bus journeys away from the institutions they serve. Much better to have a good gym and a hall that can be used whatever the weather. The vast majority of school fields are closed outside school hours. Public facilities available to communities year round are of more use. The coaches and specialist staff that many of them host are more valuable than any PE teacher, however committed and skilled. But even before the coalition took office in 2010 and began its massive spending cuts, the Daily Telegraph had started a campaign to halt the decline in community sports facilities. Since the budget-slashing spending review that followed the election, leisure centres – along with libraries and other “recreational” services – have felt the squeeze. Sport England, the body responsible for community sport saw its government grant slashed by 33% and its capital budget reduced by 40%. All over the country, sports-related charities funded by local government have been axed. Meanwhile the Prime Minister and the Education Secretary talk of wanting to change the culture in schools. There must be more competition they say, and an end to the leftie notion that everyone must have prizes. That’ll make Olympians of us all. It’s another red herring. Nobody in government has ever offered a shred of evidence to back their claims about prolific loser egalitarianism. 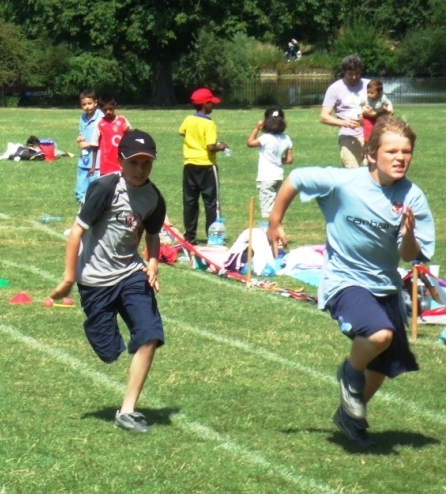 A quick look at some of my local school websites confirms that competitive sports days with cups and trophies are very much in vogue, even in staunchly Labour Islington. The battle of Waterloo may have been won on the playing fields of Eton. The battle for healthy, active children won’t be won on the soggy, expensive-to-maintain fields of our cash-strapped schools. Yes, they should have sports facilities. Yes, teachers must encourage sporting activity and identify those who excel. But let’s fund grassroots community facilities and clubs with first-class trainers and talent spotters of the sort that led Mo and Jessica and all the others to Olympic gold. The majority of community sports facilities in our area ARE school playing fields, and are used by our junior sports clubs. They are all available outside school hours with permission of the school concerned, permission that has ever only been withdrawn when pitches have become waterlogged. Although School gym’s are used for training in winter months a playing field is needed for competitive team games. The institution they serve is the local community, that community which provides many of it’s pupils. The specialist coaches are invariably parents and family members of, present, past or future pupils. Talent scouts are frequently present and introduce themselves to the coaches. There are no long bus journeys required the schools are local and the facilities are on the school premises. Wet afternoons are common to all outdoor sports facilities. An under 10 football team does not qualify for lottery funding but is financed by parent subscription, part of which is rent for use of the facility. We have willing youngsters, we have willing volunteers. Without School playing fields we have nowhere for them to play. 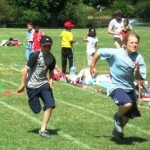 The competitive sports days of your local schools do they not take place on school playing fields? I agree that clubs are key. The links between schools and clubs ensure vital talent is not lost. The government withdrawal of funding for school sports coordinators will halt the excellent work that was done in many areas that has really made a difference to the amount of youngsters in our rural comprehensive near Bath aspiring to careers in sport. It is now up to the schools to choose to cut or to fund these posts – along with general school budget cuts it will be hard to justify . I hope that the wider value to schools, individuals and national passion for sport is recognised and the initiative will be restored. Linford Christie became a youth worker in order to get access to ILEA running tracks (so there’s an irony in the Linford Christie being named after him). The playing fields row is both a red herring but also misses the point. Yes playing fields useless for much of the year and no substitute for well maintained, well lit, well drained all weather 3G pitches and decent sports halls BUT open space and grass and places where teenagers can hang out that are safe and attached to a school and under at least passive supervision are also valuable. And all too easily lost.